Google My Business listings are Free. You can sign up here if you already don’t have one. If you have someone manage them for you then fair enough you may have to pay a management fee. However it appears there are companies cold calling claiming to have a ‘special relationship with Google’ and are attempting to charge for the privilege of maintaining and improving your listing, when it’s already there and in many cases performing pretty well. For those that don’t know, below is a screenshot of what a Google My business listing looks like in the SERPS (Search Engine Ranking Positions). Just ignore any companies that phone out of the blue, claim they have an association with Google, and if you don’t pay an annual subscription your Google My Business listing won’t be renewed. Some quick thoughts to kick off 2016. Weren’t the days of Google showing 3 results for a website in the SERPS supposedly at an end? Obviously Not! The screenshot below clearly shows 3 listings for Gumtree. It’s annoying to see Gumtree doing so well when the pages are all littered with ads (Google hammered one of my sites for this) and the content similar on all 3 pages. This is an example of Google’s algo favouring a brand and over the last few years, I’ve seen this more and more. No matter how much SEO you do, Google still favours sites like Amazon, Gumtree and Ebay at the expense of smaller independent sites. This is a cautionary tale for every siteowner thinking of getting their website refreshed or redesigned. When the designers are called in to refresh the site, and it goes beyond a basic refresh of the skin, you as a site owner should be aware that you can seriously harm the rankings and performance of your website. Proceed with caution. Remarkably this happens more times than you’d think, new designer comes in, does his magic, rips the site apart and pulls the rug from underneath. It’s gutting to see a site that you’ve worked on be massacred by a design team that have no idea of even the basics in page titles, internal links, site structure, 301 redirects or simple on site SEO. What seems like a very long time ago I wrote an article on my own AdWords mistakes. Most of them still apply. 7 or 8 years later here’s a follow up with a few more. If you are running on a fairly small budget or your cost per click is high relative to your budget then the ‘Limited By Budget’ warning can be fairly common. Sometimes this is very difficult to work with, particularly if it’s a small client dipping their toes into Adwords and they aren’t prepared to up their budget. They usually have a low budget and a high cost per click. If the daily budget is £10 per day and your clicks cost you £1, then when you get 10 clicks your ads will stop showing. If your budget runs out at 5pm then your ad no longer shows. 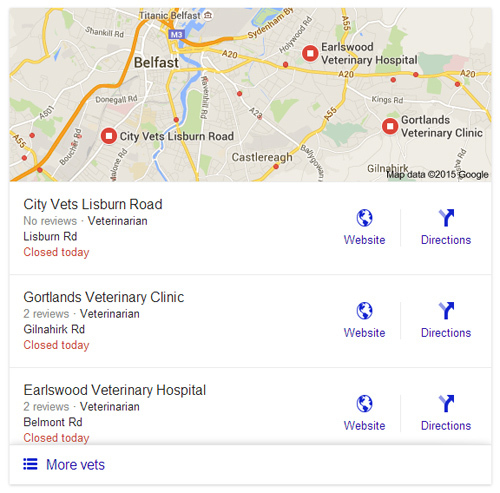 Google seems to have rolled out a new look and layout for local listings and cut the 7 pack down to a 3 pack. The last few months or so I’ve noticed Google has been experimenting with a different look and layout for local listings. It now seems they have rolled this out across the board. Do Exact Match domains still carry any ranking value in 2015? I think it’s too simple to say keywords in domains no longer hold value. I certainly still think they do, they certainly do in folder names and file path, absolutely no doubt about that. I also still see plenty of keyword rich domains that rank highly, and the keywords are a contributing factor. This morning I noticed a big big change in a particular Local Business market I would monitor fairly regularly. Something has happened to the Google My Business local rankings for ‘web design’ related businesses. These have always been a law unto themselves and only recently started to show again after Google had pulled them. 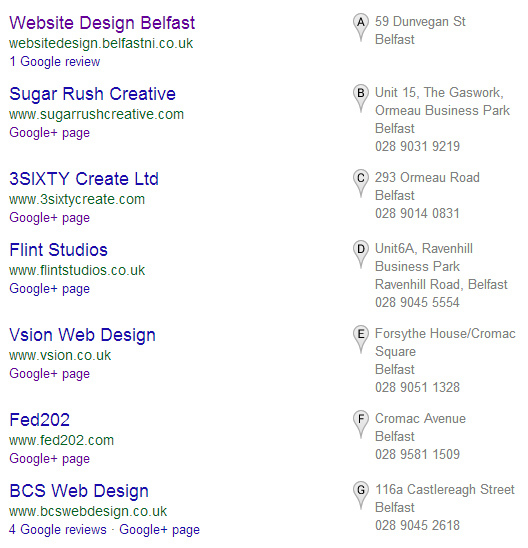 I keep a close eye on the local rankings for ‘web design Belfast’ terms and the 7 pack seems to have changed overnight. Which Drops a Suspended Site Quicker? Which drops a suspended site quicker? 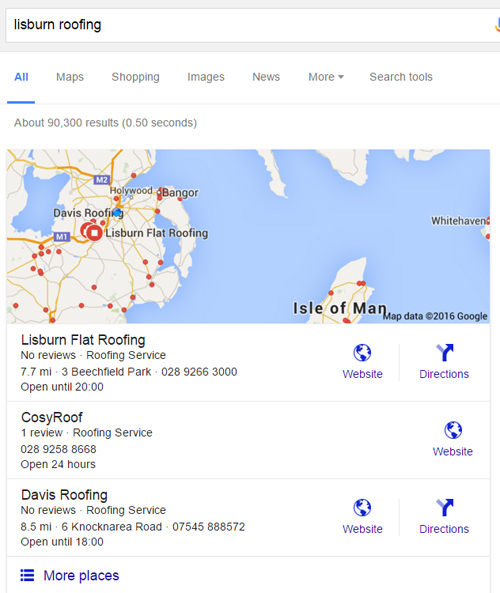 Google My Business or Google Organic? Comments Off on Which Drops a Suspended Site Quicker? I’ll add more to the list but here’s a couple of kick off with. 1. The ability to add annotations/comments. This is long overdue. Having to write notes in a Google Doc and refer back to these is time consuming. 2. I’d like to have the date picker that’s in Google Analytics, it makes it very easy to compare this year with last year’s performance. 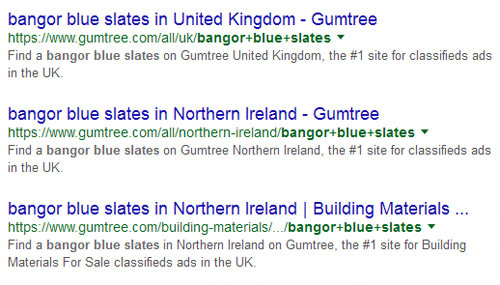 You can run comparisons in Google Adwords, though arguably they aren’t as easy to read/digest. 3. Ad scheduling at Ad level, so that I could create different ad text for different times of the day. 4. Being able to group select Broad Match Modifier keywords. 5. Being able to set different ads to display 10%, 20%, 50% of the time. 6. More flexibility & common sense with mobile ads, seems a nonsense to have to run a separate mobile ad campaign with the same keywords and decrease mobile settings by 100% in the original desktop/tablet campaign. 7. I’d like to be able to simply click a button and restore an account to a previous date, rollback functionality. I rarely use the undo changes feature, and backing up an account and restoring would be too time consuming everytime you made significant changes. 8. Being able to review and assess Quality Score for keywords over time. 9. I’d like to be able to get an email notification sent straightaway when the daily budget runs out, and not have to go through the current process of setting up rules to run at certain times to check if the cost has exceeded a certain amount. 10. I’d like to be able to see all the IP addresses in Adwords and what they get up to on the site. 11. It’d be great to have coloured rows rather than all grey rows, which can sometimes be hard to distinguish, and can lead to mistakes if you’re writing the figures down. Below is a quick comparison table I’ve drawn up between Google Adwords Express & Google Adwords. Automated Management, enter your service and service area and Google will get things up and running for you You choose your own keywords, set bid prices and structure your account, you adjust bids, deal with quality score issues, poor performing keywords and ads. Adwords Express doesn’t support the advanced features that Google Adwords does. Google Adwords allows to you use many of the more advanced features. For instance you can run callouts & site links that many of your competitors are running. Remarketing and advanced advertising formats are available (read what remarketing is). Google Adwords support Youtube ads. Google Adwords Express may work for small businesses without the time and knowledge who want to run ads, but if you’re running campaigns spending hundreds of pounds a month, and your competitors are running Google Adwords campaigns with all the features then it is certainly worth considering running the full package even if that involves hiring a Google Adwords professional. You’ll need to look at your costs to see if it’s justified.